Citrus Heights Real Estate - Find Your Perfect Home For Sale! 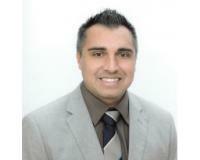 I am the president and owner of Orbit Realty, a real estate brokerage firm located in Sacramento CA. I started Orbit Financial in 2005 to offer consumers a better choice in selling their homes, finding that right investment or help with finding the perfect place to call home. Since opening our doors we have experienced tremendous growth and we will continue to grow on our virtues of treating our customers with the utmost respect and honesty. Our firm is in the business of developing long lasting relationships and we understand that without referrals and the support of our clients we would not be where we are today. My staff and I will always go the extra mile to take care of our clients needs. I believe in an open door policy and if I can assist you in any way at all please don't hesitate to visit or call.